' Healthy Snack Prep: for On the Go Snacks - Sisters, What! When my oldest comes home from school, everyone is always ready for a snack. Being well into my 3rd trimester, I've been trying to make better snack choices for me and my kiddos. 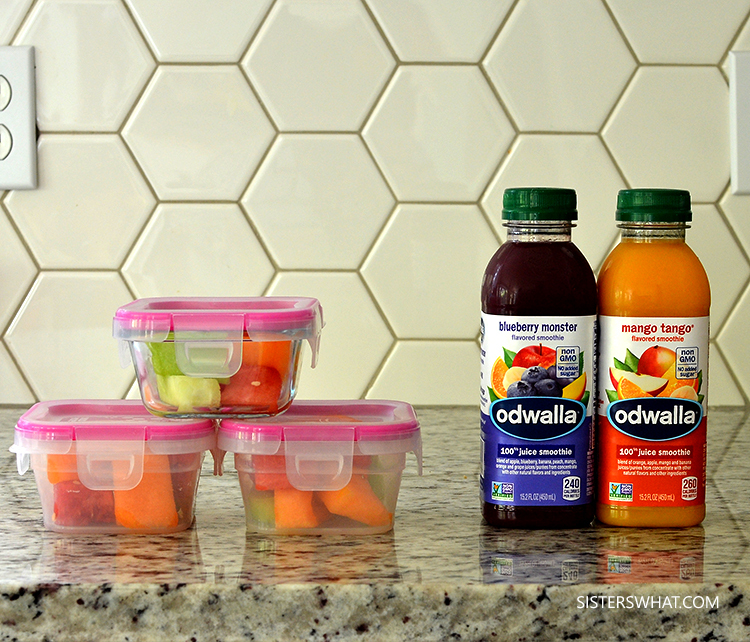 My kiddos and I have enjoyed having Odwalla and fresh cut fruit as a mid-day snack. 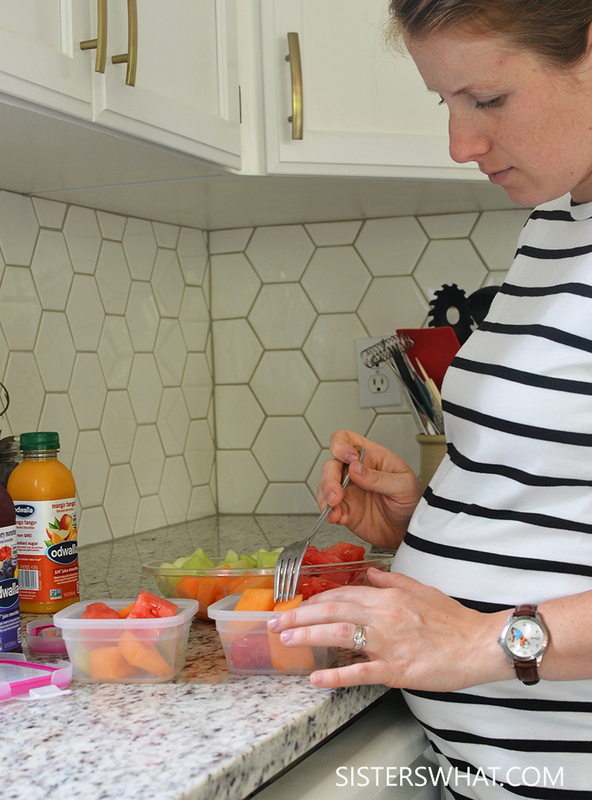 Fruit is something I've been craving since the beginning of my pregnancy and I can eat it everyday, all day. 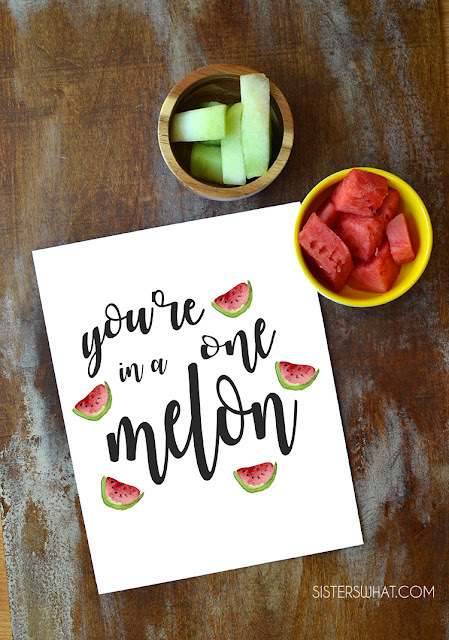 - I gather my favorite fruit. 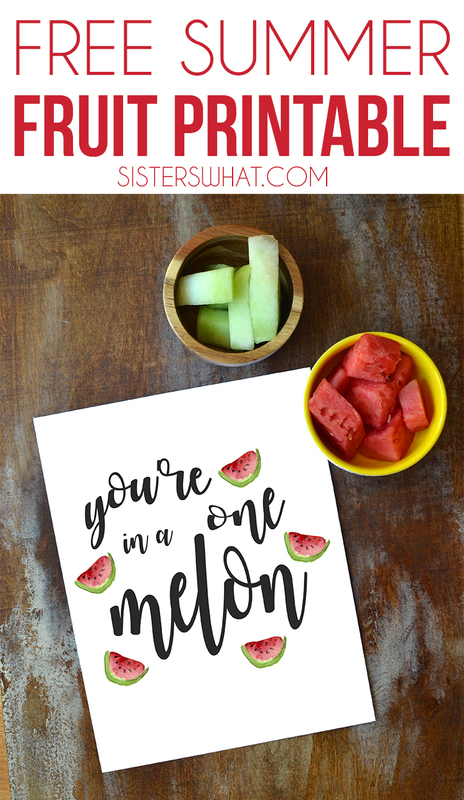 Right now, I'm obsessed with watermelon right now and melons. - Then I place into small containers so I can have them ready for snack time or if I need them on the go. 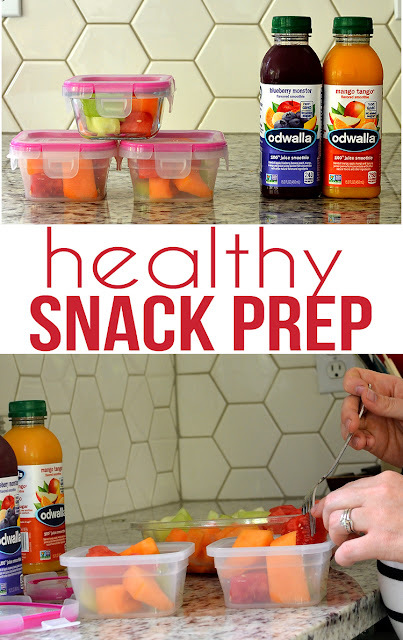 - along with the fruit, Odwalla fruit juice is delicious and also easy to quickly grab on the go. 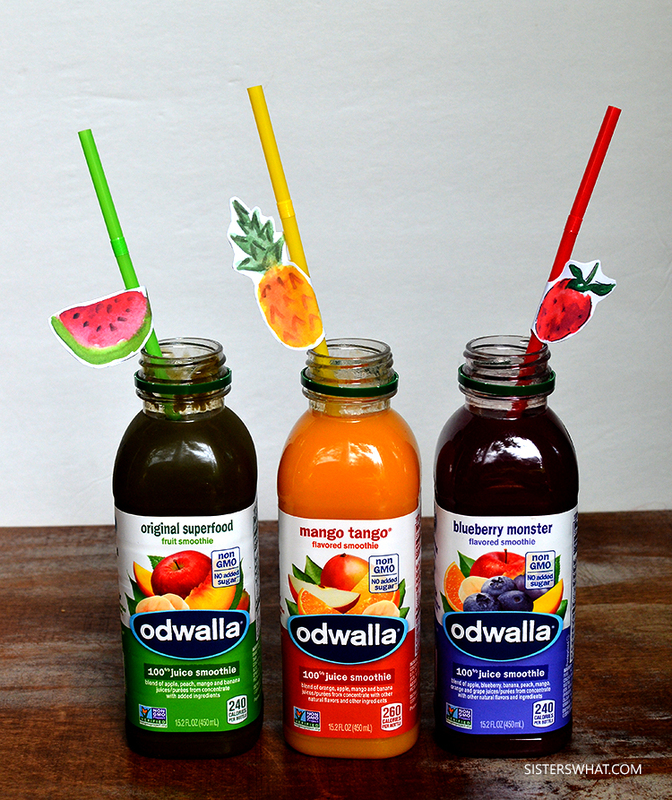 My boys loved the Odwalla and each flavor we tried was bursting with delicious fruit and fresh flavor. 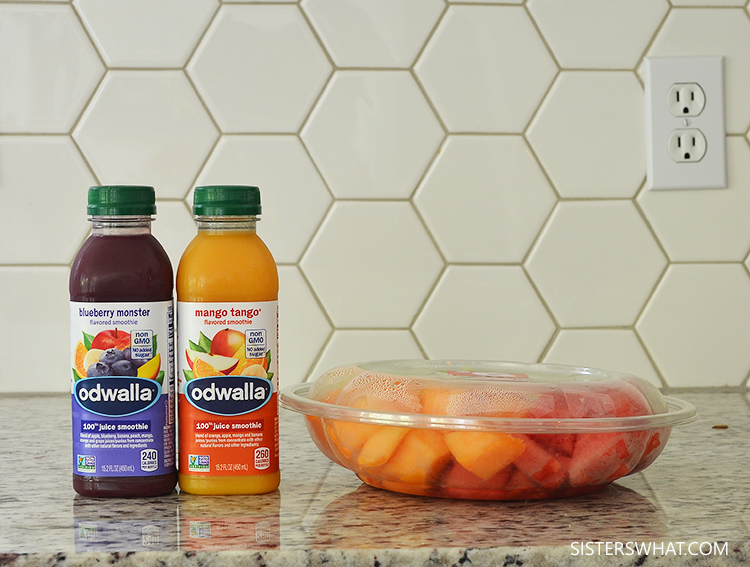 Currently at Safeway, save $1 on your next purchase of in-store fresh cut fruit when you buy any TWO (2) Odwalla 15.2 fl. oz (you'll receive a print out coupon at the register). Offer ends 6/27/17. 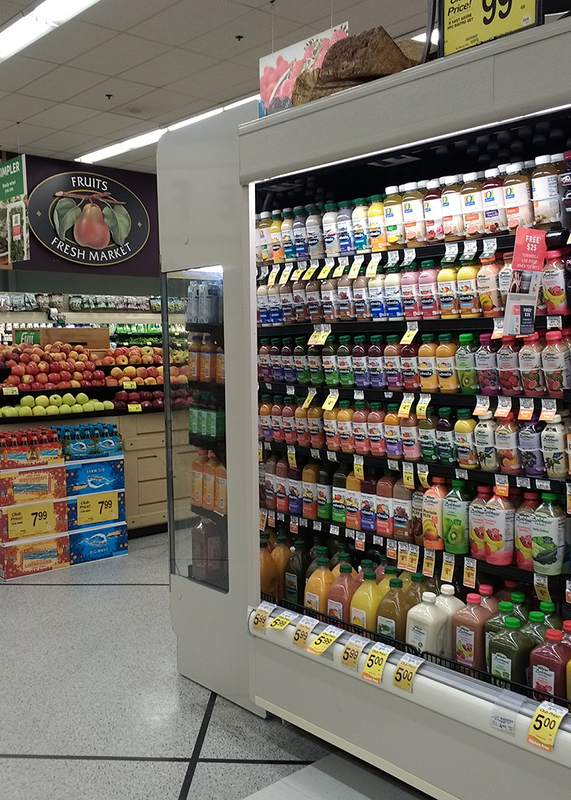 I was really surprised by the wide variety Odwalla products that are 100% juice and smoothies, protein and almond milk shakes; each with an artful blend of flavor and function. So many options for on-the-go-snacking occasion . The ingredients are Non GMO with no sugar added. 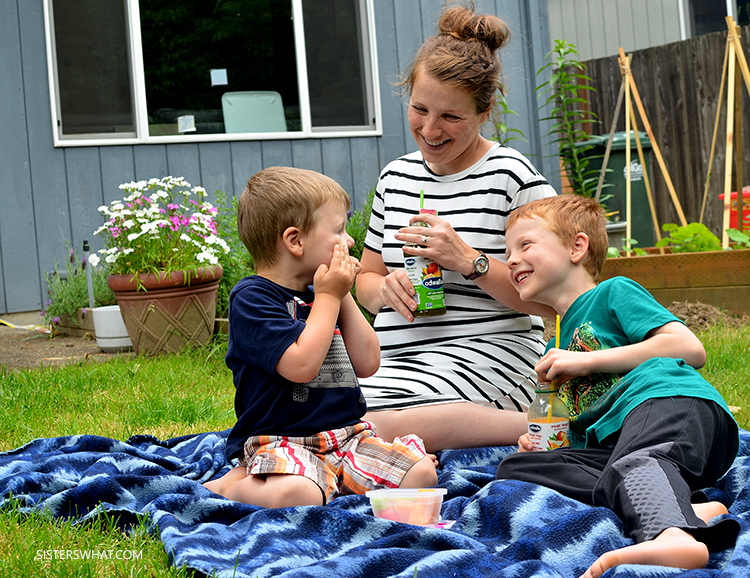 These juices have been fun for the boys during our backyard picnics and for on the go. For fun, I made these fun printable straws with my boys to drink with. Tutorial and printable coming soon.